Tag Archive | "Omar Mahmoud Mohammed"
Since the September 11th attacks, the United States and its Allies have struggled in dealing with suspected terrorists found both on the battlefield and as civilians in their respective countries; a topic that has remained prevalent in the news and in political discourse over the last decade. The United Kingdom experienced similar problems. One solution that the U.K. is employing is to deport terror suspects to foreign countries. 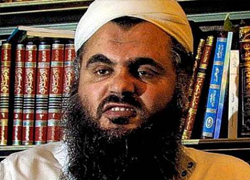 This strategy must now overcome a ruling from the European Court of Human Rights that restricted Britain from deporting, also known as Abu Qataba, al-Qaeda’s main European inspirational leader, to Jordan because his trial would be tainted by evidence obtained through the administration of torture. Over the past decade, Britain has struggled to find a balance in protecting civil liberties and national security. Mr. Othman has been in prison for over ten years for terrorism related offenses, and Britain planned to deport him to Jordan, as part of a wider strategy of dealing with terror suspects. The Court’s decision is the latest of several disagreements between Britain and rest of the European community. Britain’s right-leaning politicians are beside themselves with the placement of European restrictions on Britain. Prime Minister David Cameron plans to address the Council of Europe next week where he will present proposals to limit the European Court of Human Right’s ability to overrule domestic courts decisions. The U.K. cautiously welcomed the decision of the court. While they praised that they court protected Abu Qatada’s right to trial, they are worried about the implications of the Court’s holding that diplomatic assurances do not violate the right to be not be tortured. Amnesty International highlighted that such assurances have been regularly ignored as terror suspects have been transferred to countries that will administer torture. Amnesty felt that the positive holding of the case was overshadowed by the Court’s affirmation of unreliable diplomatic assurances. Over the past decade, there have been no easy answers for what to do with terror suspects. The United Kingdom is struggling to find the right balance. In addition to the obstacles of domestic politics, it must also comply with its treaty obligations under the European Convention of Human Rights.